Hi, again! 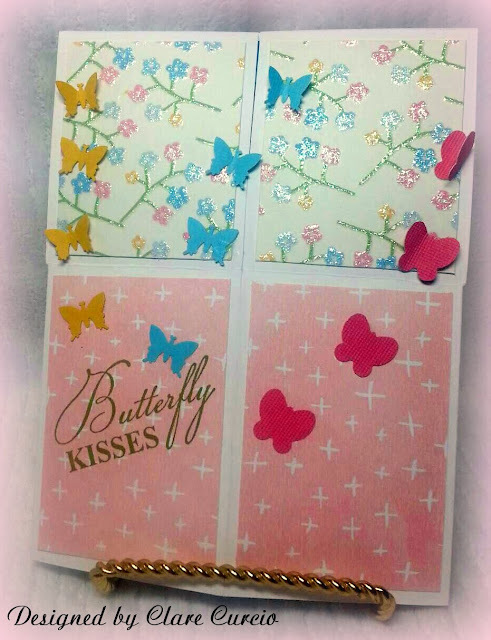 This is the second entry this summer about God's wonderful creations - butterflies! Do you ever wonder why they don't fly straight like a bird, but up and down, choppily, here and there? Maybe so the birds can't get them as easily? The names for "butterfly" in other languages are so cool! In French, they are "papillon", and in Spanish, "mariposa". I stamped several butterflies of different sizes all over white cardstock, then shaded them in using markers. A little coordinating glitter was added for sparkle. This was mounted onto blue cardstock, then black to make the whole thing stand out. This was mounted onto a piece of teal vellum, then onto a crinkled piece of purple cardstock, then onto my white card base. It is 5 1/2" x 4 1/4" big. 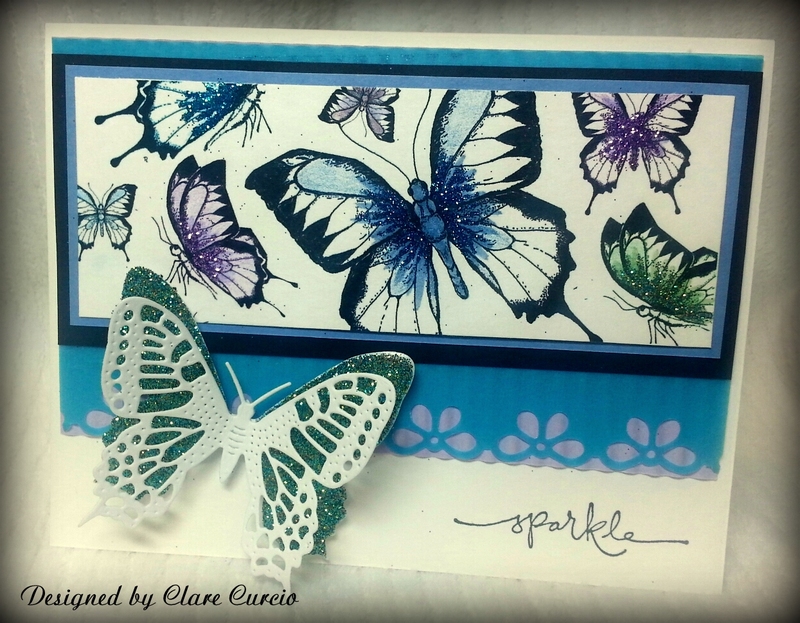 The die cut butterfly was given to me by my friend, Donna, and the butterfly base was covered with clear-drying glue then glittered with patina glitter. 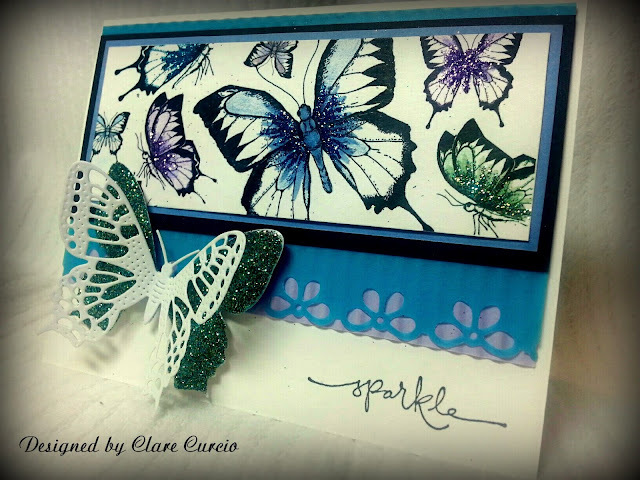 The "sparkle" stamp is from Stampin' Up. Hi, all you friends out there! It is so hot here in middle Tennessee! I'm allergic to sweat, get sunburned and overheated easily, so I'm staying inside the comfortable air conditioning crafting the summer away! I hope you're all having a wonderful summer so far, and have a safe 4th of July! 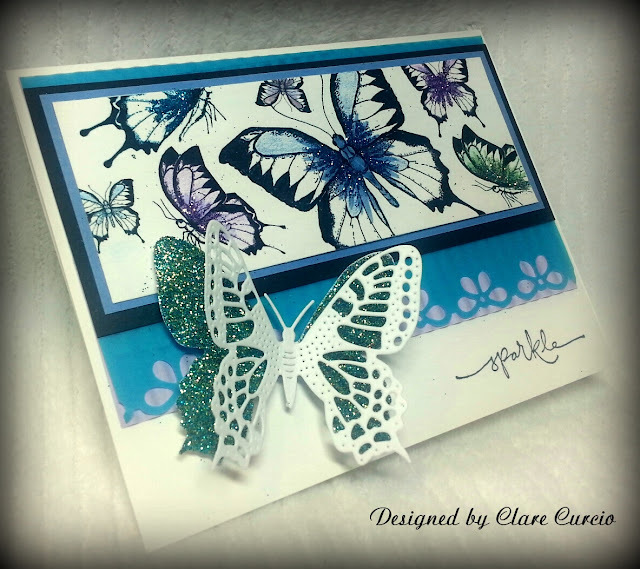 It's the season for butterflies, so I thought I'd do a couple of posts showcasing them! Love them, flutterbies! The pop-up box is open in this photo so show the "surprises inside"! 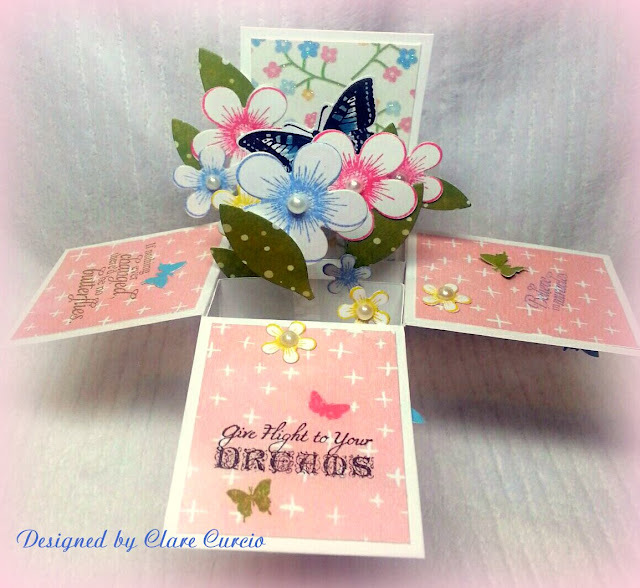 The side flaps are stamped with the sentiments, "Give Flight to Your Dreams", "If nothing ever changed, there'd be no butterflies", and "Believe in Miracles". 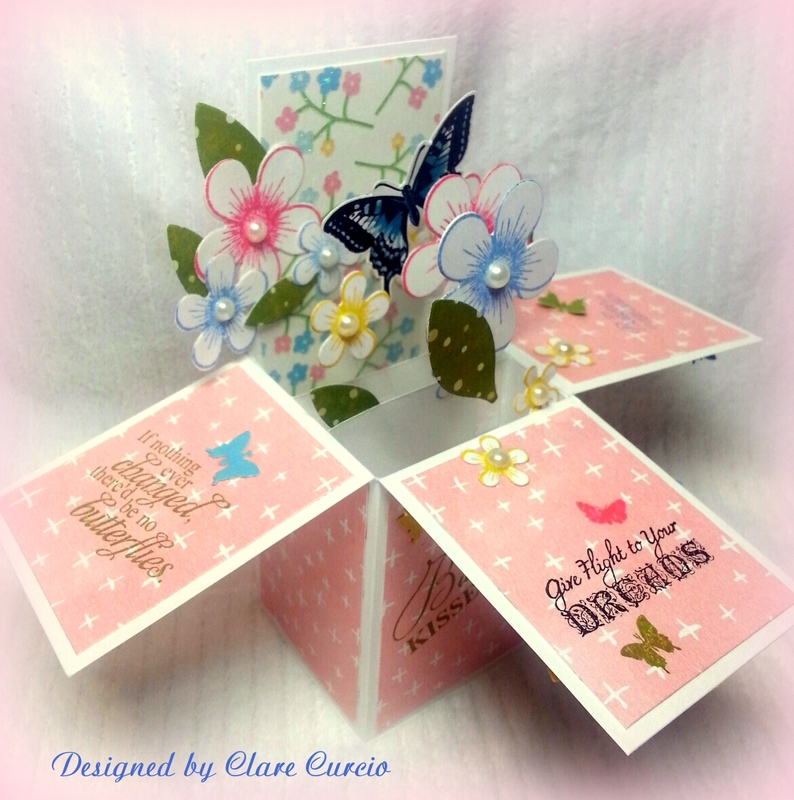 This is the front of the pop-up box card, as folded for mailing. This care was so fun to make, and not difficult. There are so many variations to it, and only limited by your imaginations! You can find the tutorial by Dina here http://www.splitcoaststampers.com/resources/tutorials/popupboxcard/.